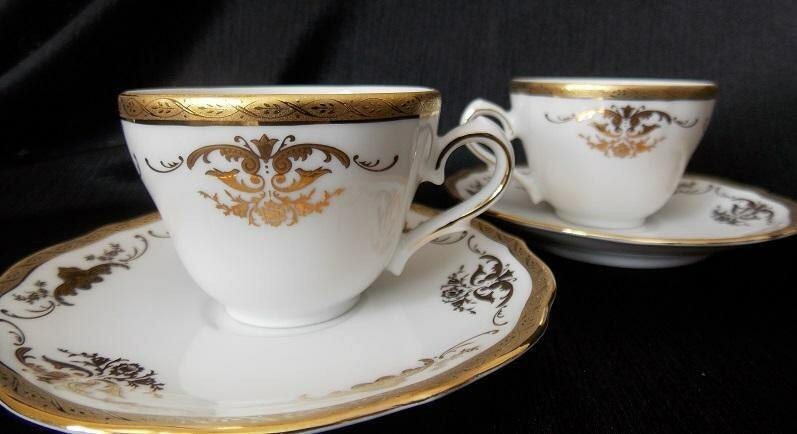 This vintage porcelain teacup set was made in Germany by Tirschenreuth. 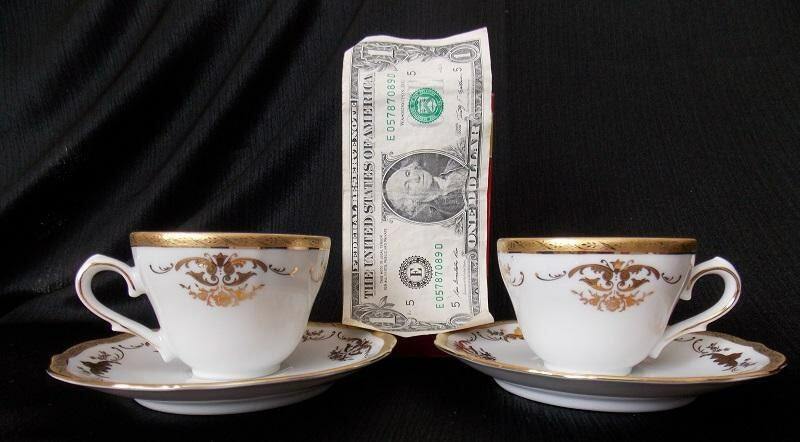 It consists of two porcelain demitasse cups and saucers. 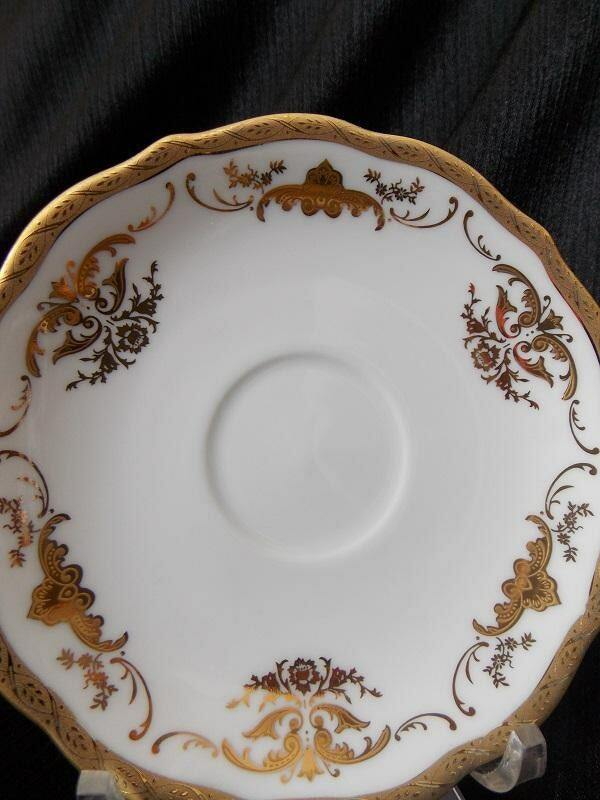 It has an overall white color with a gold overlay floral and scroll pattern. 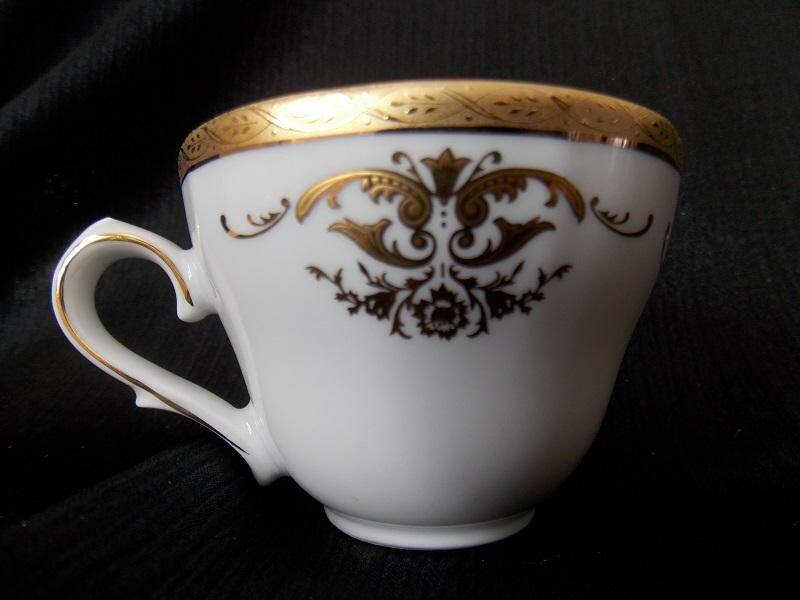 There is a gold band trim around the rim and on the handle. 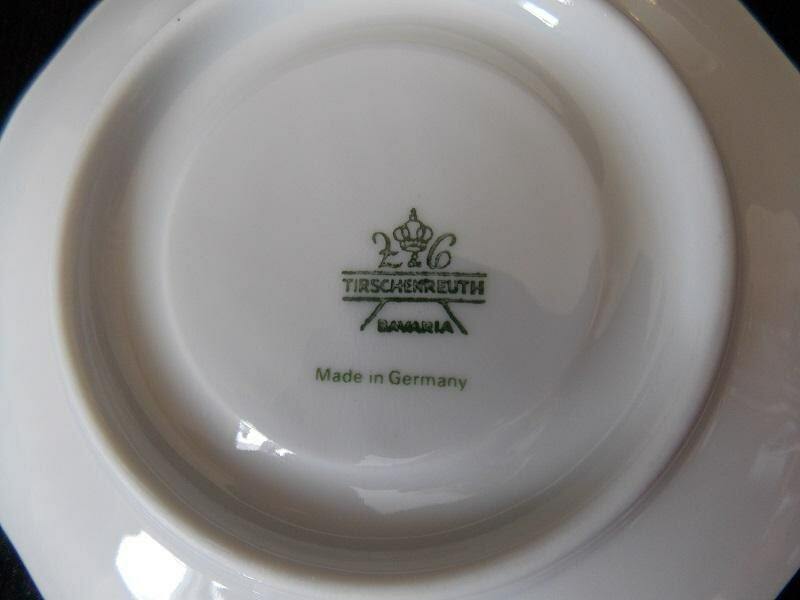 They are stamped "Tirschenreuth / Bavaria / Made in Germany" is on the bottom. This set is in excellent condition with no cracks or chips.